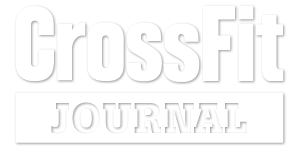 I just want to give a shout out to all the folks who are helping make CrossFit Undisclosed. Lots of new toys this week and each one adds another way for us to train and make people stronger. Thanks to Riley for the conex, Benny for the boxes, Dan and his team at Red Horse for the pullup rig, the fabrication team for the new sled, Camrin for the bands, Jimmy for the radio, and thanks to everyone who goes to class for making it worthwhile to make our box what it is. Nothing makes us happier than to know that you leave class better than you were when you showed up. Power cleans are done with either a dumbbells, body bar, or medball (in order of difficulty).